Endless expanses of vineyards , ancient villages and frescoed villas . 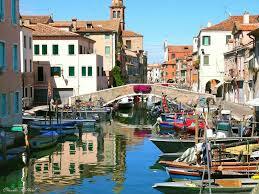 And then Chioggia , with its colorful houses and small harbor. All at a few miles from the Serenissima. Dedicated to Countryside Lovers and Wine Experts .. villages and towns, mansions and taverns, hills covered by rows of vineyards , the vine that produces the famous Venetian bubbles wine the Prosecco . . Just an hour by car to reach Conegliano, North of Venice, and its wineries and extraordinary abbeys inthe Treviso “Marca” once the “Garden” the opulence farmland countryside of the Venetian Republic where the Venetian nobles swarmed in their Villas for endless parties. Since 200 years ago the hills between Conegliano and Valdobbiadene Prosecco are home of the Wine festival in Villa of San Salvatore di Susegana ( third weekend in May). 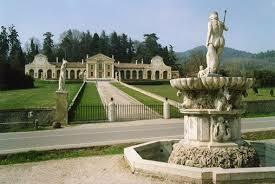 Villa Sandi , a Palladian -style mansion in Montello is the right place for wine tastings of great wines and Prosecco. If you are able to drive another 80 miles you will find the “ Cerletti Wine Institute of Conegliano” the first wine school in Italy , founded in 1876 . Suggestions forArt lovers An outing worthy of note the visit of Villa Barbaro at Maser one of the masterpieces of Andrea Palladio, with frescoes by Paolo Veronese and a historic wine cellar and close to Conegliano Ca ‘ del Poggio San Pietro di Feletto , a parish church of the thirteenth century , of Lombard origin and in Romanesque style, is perfect for a dining with a view. Close by the Abbey of Follina : impressive , severe with a magnificent thirteenth-century cloister . Back in Time .. a landscape of water through the Venetian lagoon , between shoals and huts appears to those who venture south of Venice to reach Chioggia. The “little Venice ” reflected everywhere the origin of a fishing village , even in its form: a fish bone centered on the Vena Canal with narrow streets and houses with bright colors . In the harbor, between the cheerful bustle of bragozzi and bragagne ( local boats ) , the sailors show off the catch of the day : clams, eels, and squid. As in Venice, wine and good food never fail (we suggest the Ristorante Mano Amica, phone 041.401721 ) . To reach Chioggia from Venice by sea take the vaporetto#1 from Piazza San Marco to the Lido, then Lido Pellestrina with the bus line 11. By land from Piazzale Roma take bus 80 . Tourcrafters provides on request private tours.